NEWINGTON - Newington’s Healthtrax Fitness & Wellness provides fitness opportunities for the whole family. 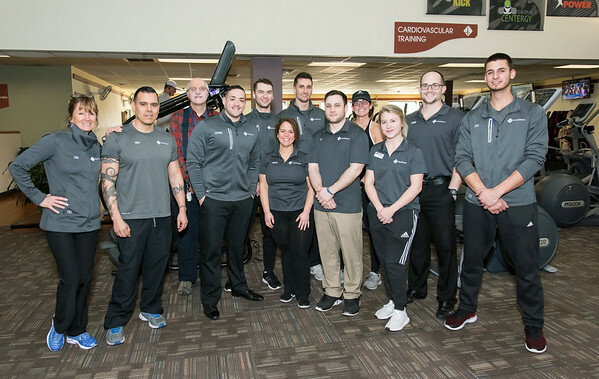 Located at 375 E. Cedar St., the facility is the only Healthtrax in the state with an indoor/outdoor swimming pool, said General Manager Jason O’Tash, who also manages the Enfield Healthtrax. Healthtrax provides a range of swimming lessons and classes including aqua Zumba and water classes for people with arthritis. There is also free swim time, allowing families to enjoy the pool together. Parents can spend time with their children on the basketball or racquetball court, or allow their children to spend time in the “Kids Zone,” which provides activities that keep children moving while their parents work out. Staff will lead the children in games and lead a Zumbatonics class every Wednesday. Their new slogan is “Fit families for life,” as part of a recent rebranding effort that included new colors and a new look for its website. In 2019, the business, which has six branches in Connecticut and 18 throughout the Northeast, will be celebrating its 40th anniversary. “We had our first member sign up for his 40th renewal in Enfield,” O’Tash said. In addition to water classes, Healthtrax offers a variety of “land” classes including spinning, yoga, pilates and dance. The business is now utilizing two hydro massage beds, which use water during massages, and Healtrax is offering free memberships to clients who sign up for personal training packages. There is also a wide range of healthy activities for seniors in the “Silver Sneakers” program, which focuses on strength and balance training with certified instructors. For more information on programs offered at Healthtrax in Newington, call 860-666-8451. Visit its website at www.healthtrax.com/locations/newington . Posted in New Britain Herald, Business, on Tuesday, 1 January 2019 20:25. Updated: Tuesday, 1 January 2019 20:27.